We usually host three main events every year: the Spring Picnic, October Apple Day and the big Cider celebration in January - the Wassail. See pictures from previous events in the Gallery. Wassailing is a very ancient custom. The word 'wassail' comes from the Anglo-Saxon phrase 'waes hael', which means 'good health'. In the early days, the wassail was a drink made of mulled ale, curdled cream, roasted apples, eggs, cloves, ginger, nutmeg and sugar. It was served from huge bowls, often made of silver or pewter. At OrchardShare we have our own beautifully carved Wassail bowl that we have been using to toast each others' health for several years. There are many traditional songs, such as the classic 'here we go a-wassailing' with a range of regional variations in local counties. 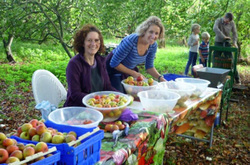 Our annual event, where we celebrate the orchard and encourage the trees to produce a big crop. Following age-old traditions, we will we decorate the trees, and wake them up from their slumbers by making lots of noise - bring pots and pans to bang! There will be a procession around the orchard, complete with traditional ceremonies. Once again we're fortunate to have Ric Jerrom of the Natural Theatre Company entertaining us. Plus singing led by the Walcot State Choir. Come and help chase away the winter blues. We'll have a big bonfire, food, drink, and music. From 2pm till dusk. At Dry Arch Growers, in Holcombe Lane, Bathampton - see map. Please park in village, and keep dogs on leads. This is our annual event to celebrate the apple harvest. There will be apple juicing, apple games, food including pizza from our earth oven and apple cake, drinks including apple juice and cider. Plus live music and entertainment. From 2-4.30pm at Dry Arch Growers, Holcombe Lane, Bathampton - see map. Please park in the village (disabled parking only, on site). Dogs allowed, but please keep them on leads. Entry is Free. Come and join our winter orchard celebration on Sunday 22nd January. Our master of ceremonies this year is Ric Jerrom of the Natural Theatre Company. He'll be leading the traditional procession through the orchard to toast the New Year and 'wake up' the trees for the spring. Bring pots, pans, drums, musical instruments! To help lift our spirits there will be singing from the Walcot State Choir, and to keep us warm there will be a bonfire, hot spiced apple juice, soup, cakes and snacks. From 2pm till dusk at Dry Arch, Holcombe Lane, Bathampton. See map. If travelling by car, please do not drive down Holcombe Lane to get to the site, as parking there is limited - disabled only. Please be mindful of local residents when parking. Entry: £2 per person (includes a hot drink); children under 13 free. Come and celebrate the harvest! Family day - all welcome. With games and food, including pizza from our clay oven, cakes, our own apple juice & cider. Music from live folk style band "Arcoustic". Entry by donation; proceeds go to "Trees for Bees". Apple Day is an annual celebration of apple, orchards and local communities. Initiated by Common Ground in 1990, it has since been celebrated each year by people organising hundreds of local events. From 2-5pm at Dry Arch Growers, Holcombe Lane, Bathampton - see map. Please park in the village. Dogs on leads. To avoid any chance of winter blues setting in, we are running a cheering Wassail event on Sunday 17th January. 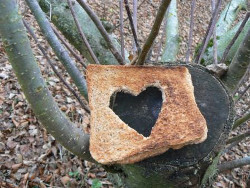 Ollie Langdon of Kilter theatre will lead the traditional procession through the orchard to 'wake up' the trees for the spring. Bring pots, pans, drums, musical instruments! To help lift our spirits there will be singing from the Walcot State Choir, and to keep us warm there will be a bonfire, hot spiced apple juice, soup, cakes and snacks. From 2pm till dusk at Dry Arch, Holcombe Lane, Bathampton. See map. Entry: £2 per person; children under 13 free. 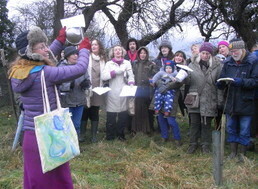 We will be holding a tree planting and Wassail at Dry Arch Orchard, Bathampton on Saturday 10th January. This event is for sponsors and those who wish to help with planting. Planting will be taking place from 11am onwards. We will have some food and drink at lunchtime, followed by the Wassail celebration and bonfire at 2.30pm. We invite musicians to bring their instruments and join in an informal music session by the fire. Bring pots and pans to bang for the Wassail too! 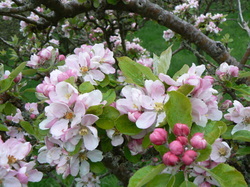 This is an opportunity to become a part of the venture to establish a new orchard at Dry Arch. Entry is free, donations are welcome. Location: Holcombe Lane, Bathampton. Map. If travelling by car, please do not drive down Holcombe Lane to get to the site, as parking is extremely limited. Live folk music, Apple juice pressing, Treasure hunt, Competitions: biggest apple and longest peel. Refreshments available, tea, coffee, cakes including vegan, gluten free, and raw fruit leathers, and other calorie rich cakes too! In partnership with Babes in the Wood Forest School, with Liz Clarke, FREE CHILDRENS ACTIVITIES, Apple printing and making Mr Apple heads, marshmallows on the fire and more. Help us celebrate this Bumper harvest, or join us for an apple picking day. Entry is £3 for adults or £2 for sponsors, and free for children. A great way to brighten up a long grey winter, join us for this traditional winter event. The Orchard wassail is the ancient custom of visiting orchards, reciting incantations and singing to the trees in apple orchards in cider-producing regions of England to promote a good harvest for the coming year. January, courtesy of local theatre group Kilter Theatre, will lead us on an orchard walk by lamplight - Bring pots and pans or a drum to bang, and a torch or a lantern to light the way! We'll have a licensed bar, as well as food and mulled apple juice available at the site camp. Despite some grim weather, we held the Spring Picnic anyway - bonfires and warm apple juice were the order of the day! The blossom was a little behind schedule, having been slowed down by the cold and wet, although the James Grieves were putting on a good show (right). The band very kindly came along despite the weather and added a really nice touch to the atmosphere. Alan and Marion Rayner of NatureMoments gave us a nature walk around the orchard, exploring the microscopic wildlife - plants, insects, and lichens to be found around the orchard. They will be expanding on this with a mini BioBlitz at our July volunteer day. The Wassail was a great success - you can see some shots of the day here. You might also like to listen to January and March's podcast about their preparations for the event. Go to the Gallery for pictures from last year's Wassail.